Sharpen Your Fringe Queer Anarcho Punk z Marseille. No Waves punk/postpunk/wave z Dražd´an. “Je to zábavné ve svém smutku“. SVOBODU PRO SVENA & poučení ze SHAC (freesven.org): Sven je uvězněn osvoboditel zviřata, který byl nedávno odsouzen k 5 letům vězení ve Velké Británii. 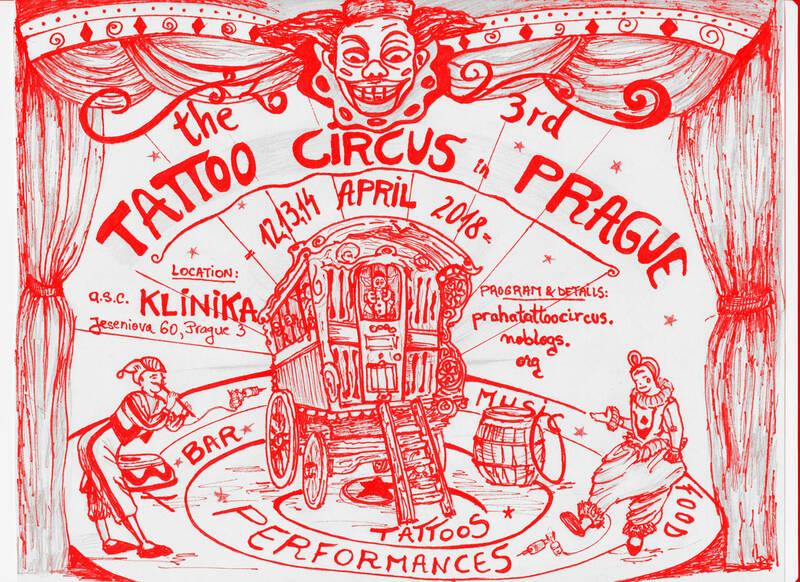 /English/ Meet the third Tattoo Circus in Prague. This year that amazing event is taking place on Klinika squat. Tattoo Circus is a DIY festival achieved through the collaboration of artists who use creativity to unite people in the anti-prison struggle. It celebrates self-expression whilst exploring the politics of freedom. You can expect to meet there tattoo artists and performers who use their creativity to bring awareness to the plight of those incarcerated and oppressed under the laws of coercive governments. All of the money collected during the event goes to organisations supporting political prisoners on the inside and outside. FREE SVEN & LEARN FROM SHAC (freesven.org):“Sven is an animal liberation prisoner, who was recently sentenced to 5 years in prison in UK. This entry was posted in Actions/Events, English, General by ANTIFÉNIX. Bookmark the permalink.